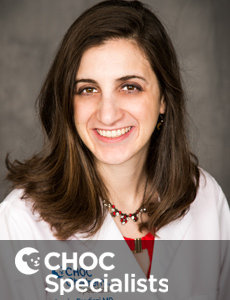 Dr. Lisa N. Abaid specializes in obstetrics and gynecology and treats kids and teens at CHOC Children's Hospital in Orange. 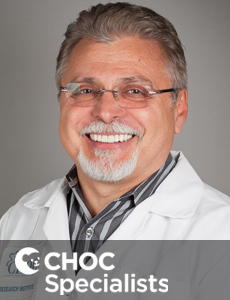 Dr. Sender serves as the director of the Adolescent and Young Adult (AYA) Cancer Programs at CHOC Children’s. 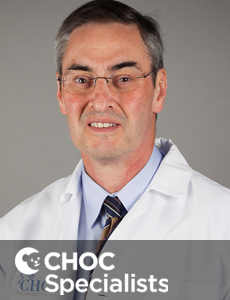 Dr. Neudorf is a CHOC Children’s Specialist in pediatric oncology and the clinical director of the Blood & Marrow Transplant Program at CHOC Children’s. 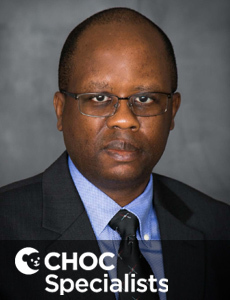 Dr. Chenue Abongwa is a board-certified pediatric oncologist at CHOC Children’s hospital in Orange County. 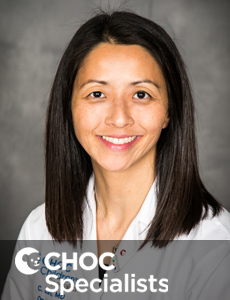 Christine Yun is a nurse practitioner who specializes in oncology. 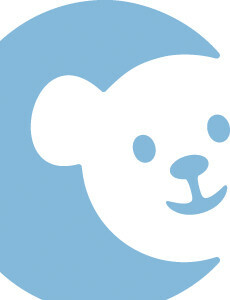 She provides care for pediatric cancer patients at CHOC Children's in Orange County. 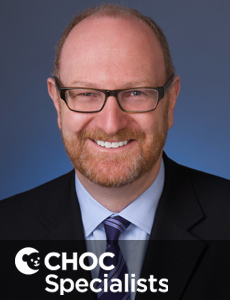 Dr. Jamie Frediani is a board certified oncologist who provides care for pediatric cancer patients at CHOC Children's in Orange County. 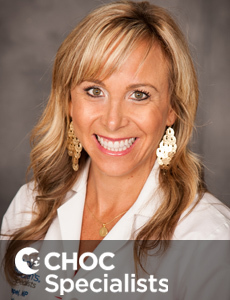 Jody Pathare is a nurse practitioner who specializes in oncology medicine. 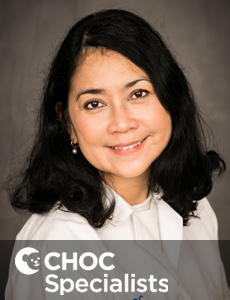 She provides care for kids and teens with cancer at CHOC Children's. 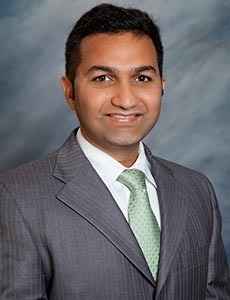 Dr. Rishikesh Chavan is a board-certified pediatric oncologist at CHOC Children’s hospital in Orange County. Natalie Johnson is a nurse practitioner who specializes in oncology. 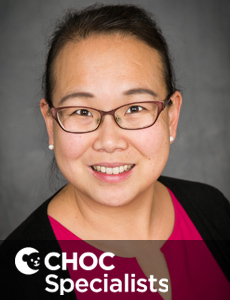 She provides care for pediatric cancer patients at CHOC Children's in Orange County. 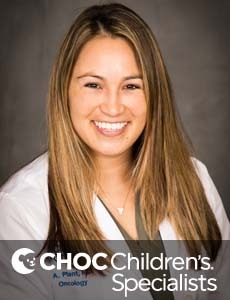 Dr. Nicole M. Baca is a CHOC Children’s Specialist in oncology and who is board certified in pediatrics. 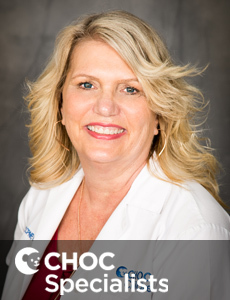 Mary English is a nurse practitioner who specializes in oncology. 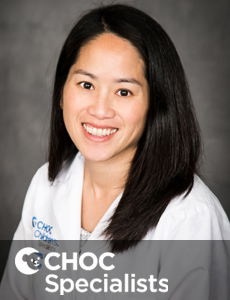 She provides care for pediatric cancer patients at CHOC Children's in Orange County. 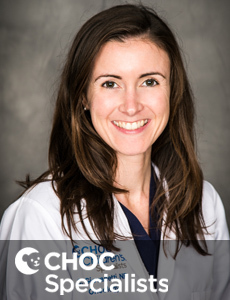 Caitlin Giovanetti is a nurse practitioner who specializes in oncology. 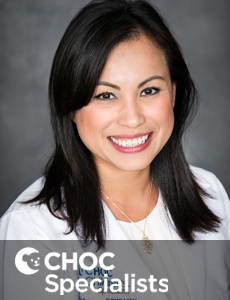 She provides care for pediatric cancer patients at CHOC Children's in Orange County. 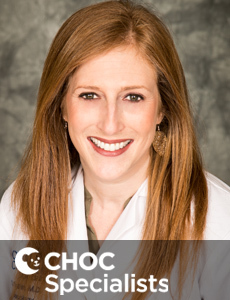 Nicole Adams is a nurse practitioner who specializes in oncology. 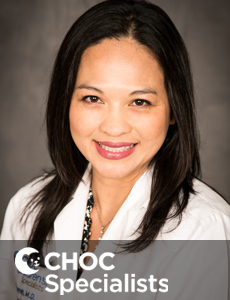 She provides care for pediatric cancer patients at CHOC Children's in Orange County. 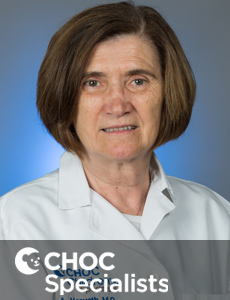 Dr. Joan Morris is a CHOC Children’s Specialist in pediatric oncology for CHOC Children’s. Nancy Kuntz is a nurse practitioner who specializes in oncology. 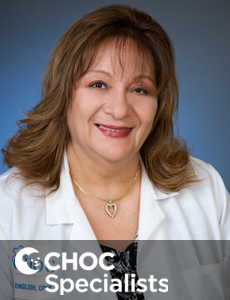 She provides care for pediatric cancer patients at CHOC Children's in Orange County. Lisa Klimpel is a nurse practitioner who specializes in oncology. 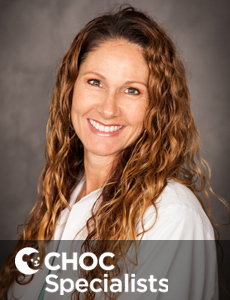 She provides care for pediatric cancer patients at CHOC Children's in Orange County. 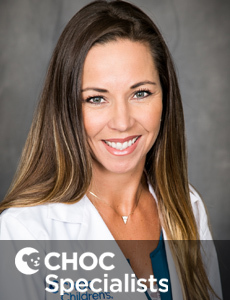 Tara Miller is a certified Nurse Practitioner for oncology. 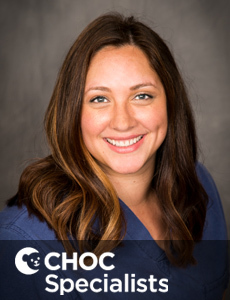 She provides care for pediatric cancer patients at CHOC Children's in Orange County.